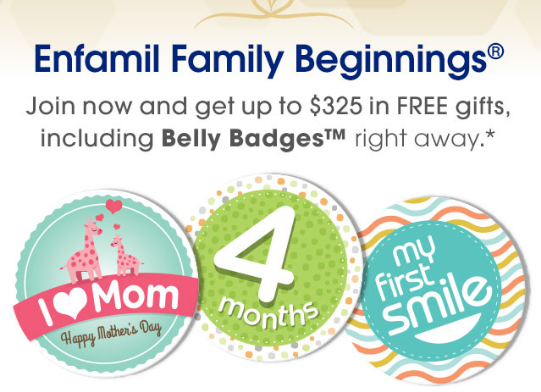 Enfamil Family Beginnings – Up to $325 in Free Gifts! Join Enfamil Family Beginnings and get up to $325 in FREE gifts including coupons, formula samples, Belly Badges™, and more. Enjoy special offers, savings and support through pregnancy, your baby’s first year and into toddlerhood.